As states are decriminalizing marijuana possession and sales and making recreational use legal, it is important to remember marijuana sale and cultivation is still a federal offense. Drug crimes continue to be prosecuted and defendants are still being sent off to prison for conspiracy and distribution being investigated in Colorado, Washington and Colorado. According to recent news reports, three defendants were sentenced to federal prison for their role in a drug trafficking conspiracy that shipped high-grade marijuana from Colorado and California to Cedar Rapids, Iowa. The Drug Enforcement Agency brought down the investigation through wiretaps and an ongoing investigation. Since charges were filed, all 12 co-conspirators have plead guilty and have received sentences. According to court documents, the defendants financed trips from Colorado and California to traffic the marijuana. One of the growers and co-conspirators had an operation in Breckenridge and the others were profiting from the transport, purchase, and resale of marijuana in Iowa. One of the transport involved a 25-pound shipment by private plane from Colorado to the Iowa City airport. The two conspirators involved in this operation were sentenced to two years in federal prison. According to a federal attorney, the co-conspirators received less prison time because they were eligible for an exception under the Sentencing Reform Act. All defendants were sentenced with penalties ranging from probation to four years in prison. One of the defendants received a more severe penalty because he had a previous criminal record. Another defendant who was sentenced to two years in prison plead guilty to conspiracy charges for transporting pounds of high grade marijuana from California to Iowa, bringing cash back to pay distributors for the product. Prosecutors alleged this was a highly strategic operation involving actors in multiple states. One defendant would switch out car tags in each state to cover up drug activities. Another defendant allegedly tested positive for marijuana while on release before the trial, making him more vulnerable to additional penalties. A defendant and alleged dealer who purchased the marijuana in Cedar Rapids was also sentenced to eight months in prison. After their release from prison, the defendants will also face a period of probation for three years. The case is a reminder to anyone involved in the drug business or marijuana industry, that federal prosecutors are still actively investigating and pursuing marijuana crimes. Drug crime investigations are alive and well in Oregon, Washington, and California, so it is important for users, medical card holders and dispensary owners to have a clear understanding of their rights and obligations. Our Orange County marijuana crimes defense attorneys will take the time to review the case against you and aggressively defend your rights in state or federal court. If you have not been charged, but believe you are under investigation for serious drug charges, including conspiracy or trafficking, it is important to consult with an experienced attorney as soon as possible. 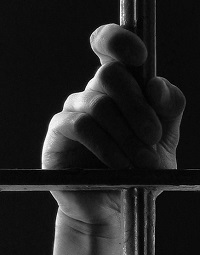 Penalties can be severe, including jail time, so it is important to begin working on your defense as soon as possible.